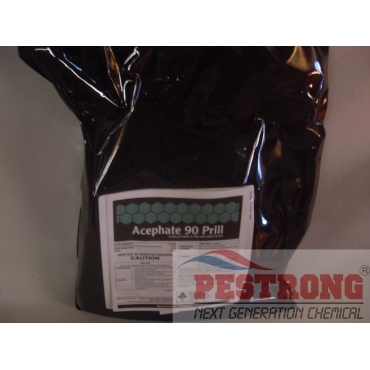 Where to Buy Acephate 90 Prill, Acephate 90 Prill Agricultural Fire Ant Insecticide - 5 Lb - $64.95 for Sale with Fast Free Shipping! Acephate 90 Prill Agricultural Fire Ant Insecticide - 5 Lb is a soluble powder used as an insecticide for control of pests on selected agricultural crops and in certain non-crop areas. Acephate 90 Prill is absorbed by plants via the roots and foliage to provide systemic control of feeding insects. Insect pests are generally controlled more effectively by Acephate through ingestion than by contact. one of the better ways to stop insects from feeding on your crops, mix it water and use it on plants for the systemic control of pests, it is effective by ingestion and the chemical is moved and speared all over by plants so it's easy to use and very effective, I would have given 6 or more stars if i could have.